Well, a coffee maker is very easy to operate and hassle free. All you need to do with a coffee maker is to put ground coffee into a filter and let the hot water drip through the filter into a carafe. 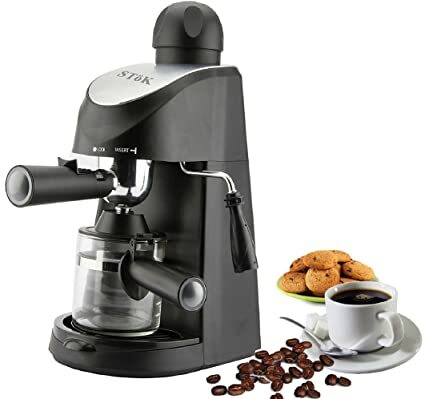 There are manual and automatic coffee maker around in the market, but most people nowadays prefer automatic coffee maker. Anyway, with today fast pace world, coffee maker is what we are using for making coffee at home or office. Coffee maker is not the best way to brew a coffee since it can’t brew the coffee with a high or right temperature but it will be the easiest way to brew a coffee. How To Choose The Best Coffee Maker? Alright, how to choose the best coffee maker? Well, there are few factors to be consider here before you go ahead to buy an automatic drip coffee maker. First, you must consider whether you want a glass carafe or thermal carafe for your drip coffee maker. Thermal carafe drip coffee maker is great if you need to keep the coffee warm without burning it or getting a bitter taste in it. Glass carafe is usually heated on the hot plate, if it is left too long it will get a bitter taste. Some people like the glass carafe drip coffee maker because it allows them to see how much coffee is in it. Personally, I prefer the thermal carafe drip coffee maker. How many cups do you need? The drip coffee maker capacity usually ranges from 1 cup to 12 cups. Some coffee makers allow you to program for brewing coffee at a specific time. Some come with automatic shut-off feature too. The right coffee maker filter can make a different to your coffee brew. There are 2 main types or shapes of coffee filter: flat bottom or cone filter. The flat bottom filter is more common but the cone filter is much better for extracting the coffee taste. Besides the shape, there are different types of coffee filter material. The most common one will be the paper, but I’m not going to go into detail about each filter materials here. The ideal temperature to brew coffee is between 195F and 205F. Most drip coffee makers do not reach this temperature. So this is not an option for us buyers. Built in grinder, dual brewing, built in water filter, pause feature and etc. Besides that there are some general considerations such as how easy to pour the coffee, how easy to find replacement for carafe, how easy to be clean and how good looking is it? How to Buy the Best Treadmill?